I've finally got around to having a sort through my bead box, and in doing so my thoughts turned to the resolutions I made at the start of the year, how I got on with these, and that I really should get my arse in gear to tell you the results! Making resolutions is something I've done for the last 4 years - so I really couldn't end the year without doing my annual review. To become a better beadmaker - this is a little vague and broad at the moment. It's been spurred on by a rather unsatisfying session I had on New Years Day at the torch, where I learnt I not only can't bead and talk, but that not beadmaking for 4 weeks does make a really big difference to what I can produce! I'm fairly sure this resolution is much more than become a more consistent beadmaker, although I'd like to do that too, along with learning a whole host of techniques that I'm spectacularly bad at, at the moment! Perhaps this will morph into mini goals as the year progresses, we shall see! To spend less in 2016 than I did in 2015 - This is my repeated bead resolution, I've actually achieved it every year, so it's not because I can't reduce my spending... and I am starting to get into the ball park of what I'd like to be spending on beads per year, not what I actually spend. So I've kept it in for another year as a reminder that I'm not quite there just yet. To share more of my beadmaking journey - I've not really done this much apart from where the blog naturally crosses over with my beadmaking e.g. my Element bracelet where I wanted to make a glass set to go with my silvers. I've been promising to do this more lately, so I'm going to set it as one of my resolutions to talk specifically about beadmaking, and learning to make glass beads, from my point of view. As I'm writing this down, I think it might help me with No.1 too! Okay, in no particular order... I dedicated my AtoZ to my beadmaking journey, so there were a whole 26 posts dedicated to glass. However once the AtoZ finished that was pretty much it. Not only for the spilling the beans about the beadmaking, but also for a lot of my blog posts and content, it's been rather sporadic for 2016! So what happened? Well a whole heap of things; I started going to college in April for half a day a week to learn more about glass fusing and kilnforming, I continued to make beads and fused glass and sell them via my new business and the day job got super busy. Something had to give and that was usually the blog, and er, a lot of my social life! 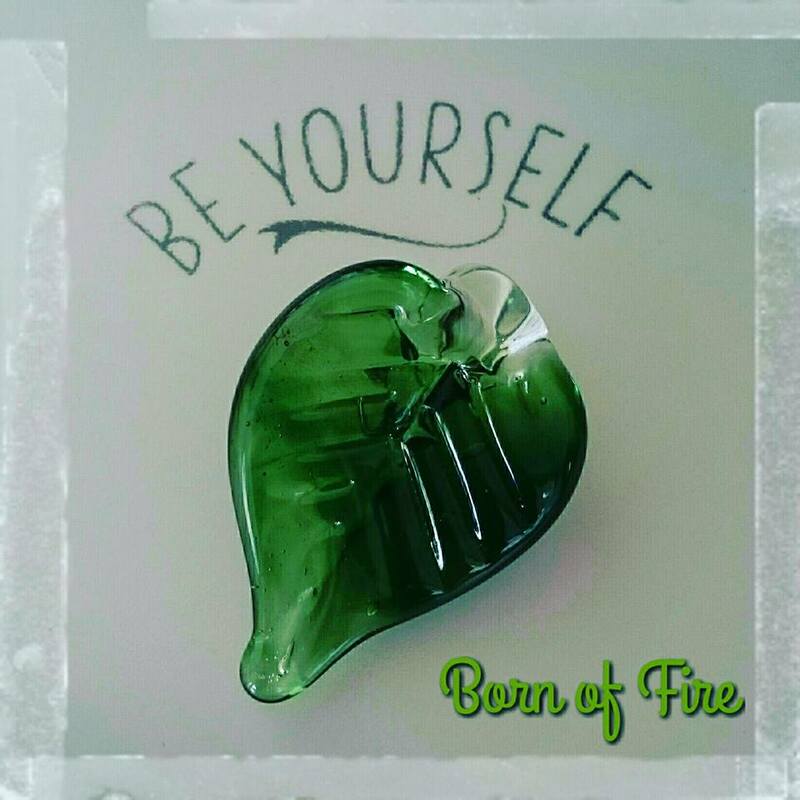 For those curious about my beadmaking journey, the most updated place for information is probably the Born of Fire - facebook page (apologies for those not on Facebook), or my Born of Fire - Instagram (on occasion), or (rarely) my Born of Fire -Twitter. The Born of Fire - website gets updated once in a blue moon when I remember... or I have to pay the fees! To become a better beadmaker, looking back as what I was making December 2015 to what I made throughout the year, I think in many ways I did, but I also fell down the fusing rabbit hole, which was inevitable I guess given I started college in April so there were a whole load of new ideas I was trying out! One of the best changes I made was attending Flame Off in April. In turn this gave me the confidence to finally try some group lampworking courses which I had been too nervous to do before. After a quick 1-1 lesson in Borosilicate to give it a go (different glass, different rules), my first course was with the lovely Marcel Rensmaag to make eyeballs! We did make other things but it was the eyeballs I really wanted to try out. Later in the year was a quick fire course with Ray Skene. This really boosed my confidence and I learnt a whole host of new tricks, my favourite make from the day was my leaf pendant! Finally on to the money, to spend less in 2016 than I did in 2015. In spite of a trip to Denmark, where I had a lovely splurge on Trollbeads and Eske Storm Jewellery, I managed it! By quite a considerable margin actually, my spending on jewellery is finally coming down to something I consider more reasonable for a jewellery addict - although it's probably still a lot by "normal" standards of course! All things considered I think I did okay on the 2016 resolutions. What did you get up to this year that was different to last year? Or did you want to do more of the same as it was so good? I'm still pulling together the last pieces for my review of the past year and mulling over my goals for this year. I think a few of my resolutions worked, so I'm be modifying them. Lol you've hit the nail on the head there, it definitely became a glassworking journey along the way and I had no clue that would happen when I sat writing these last January! I had treated myself to a beginners fusing kit but hadn't even opened it and then struggled to even cut a piece of 3mm glass at that stage! Now I've even had a (very guided) go at furnace glassblowing and a guided but hilariously bad attempt at scientific glass blowing, which was neither scientific or even ballpark consistent... and it's all so much fun! Looking forward to your review and your new goals for the year, I love seeing what you come up with!